Don’t forget that WeatherFest and Spotter Training is this coming weekend, April 1. It is an all-day event (starting about 9). Spotter training is at 14:30, but you will want to be there earlier for the Severe Weather Seminars starting at 12:30. The NE150Hams committee is led by ARRL Midwest Division Vice Director Art Zygielbaum, KØAIZ, and Nebraska Section Manager Matt Anderson, KAØBOJ. Members include Fred Eriksen, KBØLF, John Mardock, KRØP, Larry Frisch, KDØRTK, Dale Douglas KDØWVD, and Kurt Bauer, WBØAEA. Nebraska QCWA and other clubs and organizations have volunteered to provide event support. The high point will be a Nebraska Sesquicentennial QSO Party for the nine days around the anniversary date, March 1, 2017. The event will start at 1300 UTC on Feb. 25, 2017, and end at 2300 UTC on March 5, 2017. 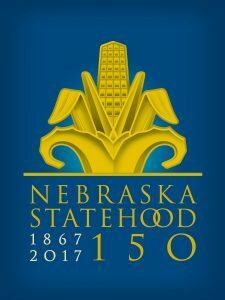 The commemorative is sanctioned as an official state event by the Nebraska Sesquicentennial Commission. Nebraska hams are encouraged to activate Nebraska historical and cultural sites. In addition, Nebraska hams may operate in recognition of well-known Nebraskans such as literary or historical figures. Special commemorative QSL cards will be distributed to Nebraska Hams at no cost (except for postage to ship the cards to them). They can use them to confirm their QSOs. For QSOs made during the Centennial Week QSO Party, certificates will be issued to out-of-state hams recognizing the number of NE stations worked, and to NE stations recognizing the total number of QSOs made. Participating hams will be asked to submit their logs electronically, if possible, for review. Details will be posted on the commemorative website (www.ne150hams.org) as soon as possible. As a free service to Lincoln Amateur Radio Club members, we are providing customized QSL card pdf files that can be printed on your own home printer! This is an ideal way for members who do not use enough cards to warrant ordering cards from a commercial QSL card printer, but still want to send out cards they can be proud of. Visit http://incolor.inebraska.com/gwbrownx/larc/QSL%20Custom%20Info.html to request your personalized cards.